What courses are considered most in demand in the job market? What academic experiences and learning in college that the graduates find very useful in the workplace? These are just some of the questions that will be answered by the Graduate Tracer Study being headed by the Commission on Higher Education and implemented by various state colleges and universities in the country. 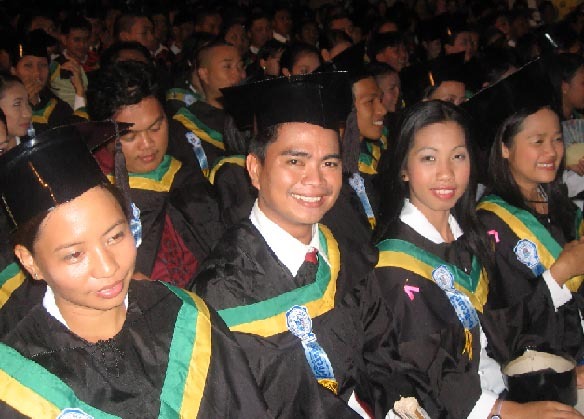 The Catanduanes State Colleges (CSC) is one of the institutions tasked by CHED to conduct the research. It is now simultaneously conducting the data gathering and data entry works. The result of the study, which will track down tertiary graduates from 2001 to 2004, can help Higher Education Institutions (HEIs) like the CSC to be more strategic in developing their curricula as well as on deciding on program offerings, staffing patterns and faculty development. It can also gauge the effectiveness and/or responsiveness of the degree programs which the graduates completed in the particular school, specifically on identifying the cluster of courses/subjects that the graduates found most useful in their workplaces. In the national policy level, result of the tracer study can be utilized by the Commission to put up an Annual Higher Education Advisory for parents and students. The advisory will contain information such as most demanded jobs, highest hiring (starting) rate and the types of schools most desired by employees. It will also provide valuable information in terms of budgetary priorities for higher education, particularly state colleges and universities where normative financing is applied. Other findings that may be generated from the tracer study are: type of graduates who are most employable, academic experiences (competencies learned in college) that the graduates find very useful in the workplace, and personal academic background of graduates that can determine employability. With this research, CHED would be able to formulate package assistance programs to develop and/or enhance higher education programs that would promote the country’s global competitiveness. Entry filed under: Alumni, CHED, Tracer Study.